Ula, whose birth was celebrated with fanfare by the Loro Park dolphinarium, is now probably between life and death. The small orca seems to be beset by infections of all kinds. One more tragedy unfolds before the public eye, lulled by the lies from the managment of the Spanish dolphinarium. Morgan was rescued in 2010 on a beach in the Netherlands, treated, but never released. A capture announced... Contrary to the current law on free-born orcas, Loro Park allowed Morgan, barely pubescent, to become pregnant, giving birth to Ula. In nature, she could have counted on the help of her aunts, sisters and mother. The baby would have been surrounded by the affection from her siblings in their pod, a family group guided by the matriarch. There, locked in a pool, there is nothing that allows for a maternal attachment, northe least of support for a young mother from her family in these important moments. Ula was photographed by a whistle-blower from the public stands. The images, which we also received, were analysed at the request of One Voice’s partner Voice of The Orcas by specialists, including Ingrid Visser, who has been working with us for many years. Not surprisingly, they all confirm what we were dreading. 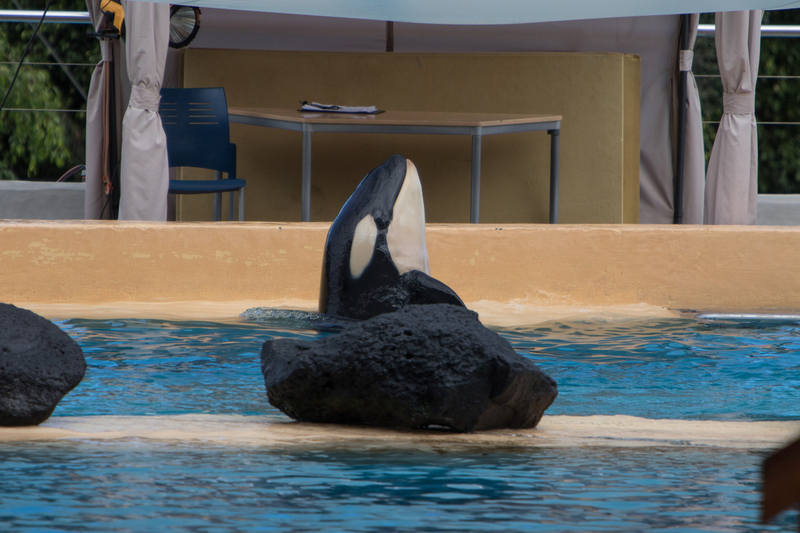 Currently, Ula is kept in a separate pool, under a tent that protects her from the sun. 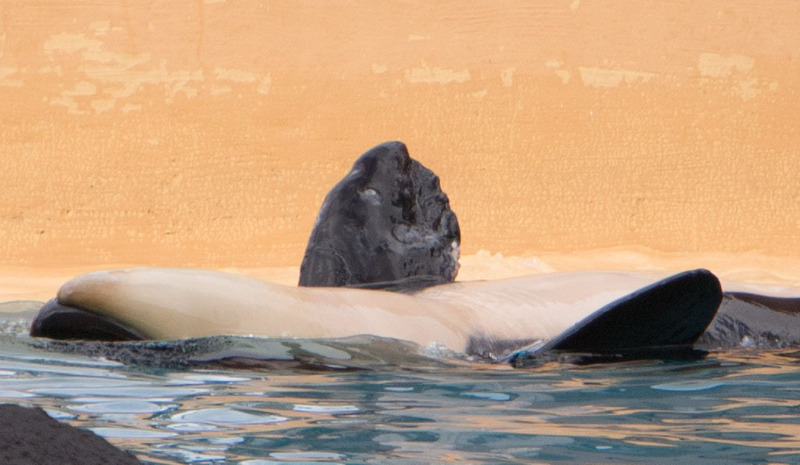 She has photo-toxic lesions on the skin, a malformation of the head, and a sick left pectoral fin. On her tail, we can distinguish injection marks, probably antibiotics. One Voice is a long-time partner of the Free Morgan Foundation, and a member of Dolphinaria-Free Europe, a European coalition that fights for dolphins and orcas held by dolphinariums. In France, we continue our fight against these water parks and to attack the state for failing to publish a new order prohibiting captive breeding and cetacean exchange between dolphinariums. Please sign our petition to close the dolphinariums and allow the transfer of these captive animals to marine sanctuaries. Mais quelle honte ! Pourquoi séparer une mère de son petit qui a besoin plus que tout de sa "maman" ? De plus que dire de l'emprisonnement de ces pauvres animaux !? Les animaux doivent vivre dans leurs milieux naturel, qu'ont arrêtes de se faire de l'argent sur le dos de ces pauvres animaux un jour il y en aura plus!! La bêtise humaine n'a pas de limite, en voilà encore un exemple. Nous nous permettons d'enfermer des animaux dans des bassins minuscules pour notre plaisir afin de récolter un maximum d'argent. Honte à nous, honte à tous ceux qui cautionnent cela et visitent ces parcs de l'horreur.